CRUISING: The Norwegian Cruise Line's Pride of America. FLOAT your way through the popular Northern Hemisphere summer cruising season by jumping onboard one of these 2019 Norwegian Cruise Line tours. You can choose from five ships in Europe, three cruising to Alaska, two calling on Bermuda as well as itineraries that include the Bahamas and Florida, the Caribbean, Canada and New England, and the Hawaiian Islands. It's resort-style escapism on some of the newest ships at sea. Onboard options include up to 27 dining options, Broadway entertainment, more than 20 bars and lounges serving contemporary craft cocktails and much more. The youngest fleet to sail to the breathtaking glaciers of Alaska will once again return to the region in 2019, with Norwegian Bliss, Norwegian Pearl and Norwegian Jewel all cruising to the last frontier. Norwegian Bliss will sail the new seven-day Glacier Bay voyages departing each Sunday from Seattle beginning May 5 through September 22, 2019. The largest and most innovative ship to sail to Alaska, it is the first cruise ship custom-built with features and amenities for the ultimate Alaska cruise experience, including extensive observation lounges and an expansive waterfront featuring dining and lounges. Norwegian Pearl, which recently underwent an extensive renovation earlier this year, will sail seven-day Alaska cruises from Seattle departing on Saturdays from May 18 through September 21. Rounding out the Alaska fleet, the Norwegian Jewel will sail her popular seven-day Glacier Bay northbound and Inside Passage southbound Alaska highlights voyages, offering guests the opportunity to combine back-to-back sailings for an immersive 14-day round trip cruise. CRUISING: The Norwegian Cruise Line's Norwegian Jewel. 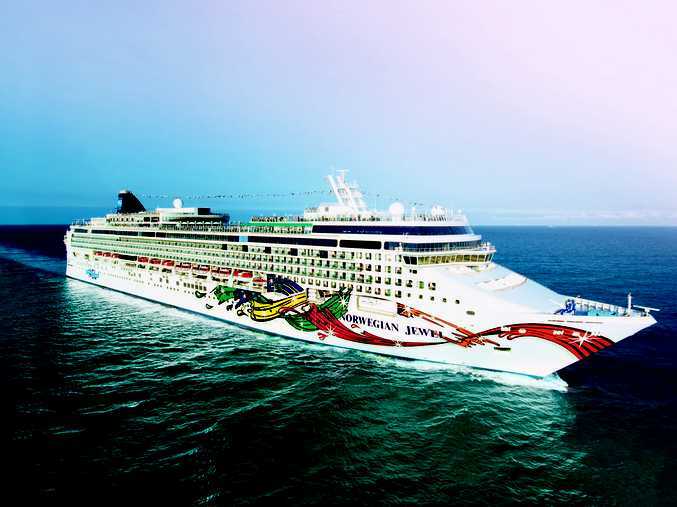 Norwegian Dawn will set sail from Manhattan on seven-day cruises to the Bahamas and Florida, bringing guests the best of beaches, theme parks and sunshine from May 25 to August 31, 2019. Guests will have two departure ports from which to set sail for the pink sand beaches and turquoise blue waters of Bermuda. Guests sailing from Boston will explore this exotic Atlantic island from a newer and larger ship, Norwegian Gem from March 29 through November 8, 2019. Norwegian Escape will continue her stay in the Big Apple through the season, sailing to Bermuda from April 14 until October 20, 2019. Both Norwegian Gem and Norwegian Escape will offer the perfect city getaway, with seven-day cruises to Bermuda featuring three full days in port and two overnight stays, so guests can experience the beautiful British territory at their leisure. Norwegian Dawn will offer four, seven-day cruises to this spectacular coast line in May and June 2019, with calls in Halifax, Nova Scotia; Saint John, Bay of Fundy, New Brunswick; Bar Harbour and Portland, Maine; and Newport, Rhode Island. Norwegian Breakaway's seven-day Western Caribbean itineraries will visit Roatán, Bay Islands, Honduras; Cozumel and Costa Maya, Mexico; and the beautiful island destination of Harvest Caye, Belize. Norwegian Breakaway's seven-day Eastern Caribbean itinerary will feature some of the region's most popular ports-of-call including St. Thomas, USVI; Tortola, BVI; Nassau, Bahamas and San Juan, Puerto Rico. From June 7 through August 27, 2019, Norwegian Getaway will sail a variety of nine-day sailings with ports-of-call that include Berlin (Warnemünde), Germany; Tallinn, Estonia; Helsinki, Finland; Stockholm, Sweden; an overnight in St. Petersburg, Russia and a day cruising past the Stockholm Archipelago. The Norwegian Epic will sail seven-day western Mediterranean cruises, with embarkation available in either Barcelona and Rome (Civitavecchia), showcasing the best of Italy, France and Spain. With departures from May 12 through November 3, 2019, guests will visit some of the most culturally rich and iconic destinations in the world. Norwegian Jade will cruise the azure blue waters of the Greek Isles and from May 12 through October 24, 2019. Norwegian Jade's 10- and 11-day itineraries from Rome (Civitavecchia) will feature a look into some of the world's most ancient civilisations with calls in Santorini, Athens (Piraeus), Mykonos, and Crete (Chania), Greece; Valletta, Malta; Messina, Sicily; as well as Naples and Florence/Pisa (Livorno), Italy. Norwegian Star will also sail the Greek Isles and Eastern Mediterranean, offering primarily seven-day cruises with a small selection of nine-, 10-, 11-, and 12-day sailings departing from Venice, Italy from May 12 through November 10, 2019. It will call on some of Greece's most enchanting island destinations including Corfu, Santorini, Mykonos and Cephalonia, as well as the outstanding Adriatic destinations of Kotor, Montenegro and Dubrovnik, Croatia on the glimmering Dalmatian Coast. Norwegian Spirit will sail a selection of 10-day or longer once-in-a-lifetime itineraries journeying to the British Isles, Iceland, Norwegian Fjords, the Arctic Circle, and the Baltics. Norwegian is the only cruise line that offers a seven-day inter-island itinerary, on the US-flagged Pride of America. Guests will cruise through paradise with a one-of-a-kind itinerary that offers nearly 100 hours of port time in Hawaii's main islands, including an overnight in Kahului, Maui; a call in Hilo; Kailua, Kona; an overnight in Nãwiliwili, Kauai; and an afternoon cruising past the breathtaking Nãpali Coast. 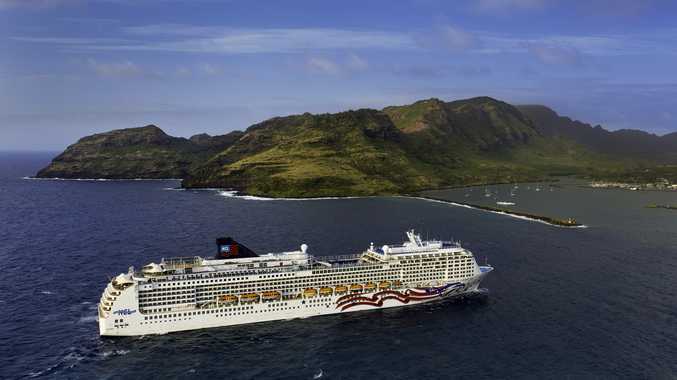 Norwegian's Pride of America will depart from Honolulu every Saturday through April 2021.